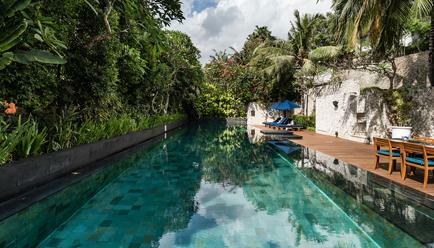 If white sand beaches, tranquil waters and opulent tropical gardens are what you crave for your next luxury vacay, there’s no better place to go than Karma Jimbaran. 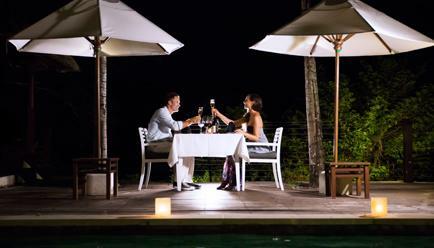 The resort features beachside villas with luxe amenities like private pools, spa retreats, epicurean culinary delights, an elaborate kid’s club and much more. Need we say more? Want to head on a romantic getaway or want to spend some quality time with your family? 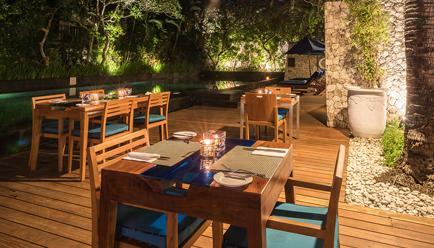 Karma Jimbaran has got so much to offer that in either case you’ll be charmed by the stay and every perk that comes with it. 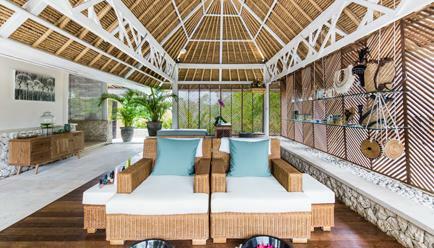 Get ready to get pampered and pleased with some amazing curated experiences like wine tastings, oriental cooking classes and Balinese spa therapies. Start your day with a scrumptious breakfast at The Bay Bar & Grill, and for those of you who enjoy digging into an Indian meal, Karma offers an Indian breakfast spread as well! The Indonesian island is every traveller’s dream come true. 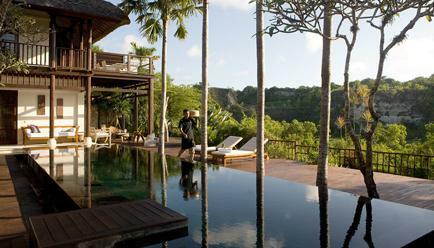 Renowned for its brilliant sunsets, rich coral reserves and sublime landscapes, Bali is a piece of paradise on earth. Heritage sites, spiritual sojourns, breath-taking views, Bali has got it all! 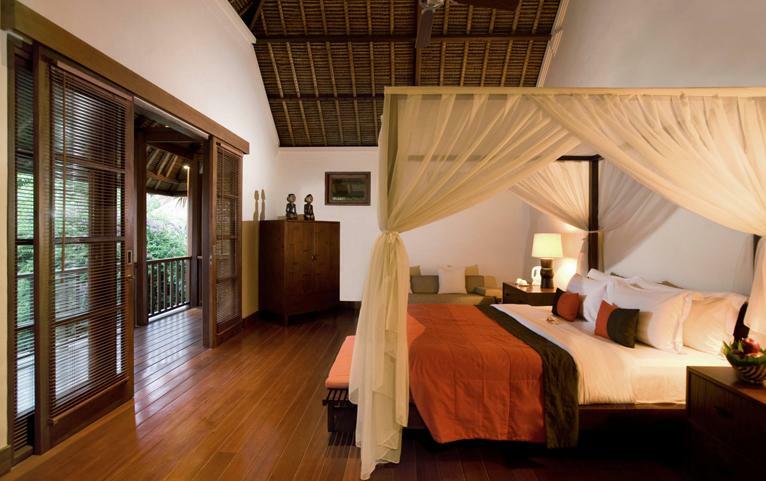 This 5-star boutique resort is situated at the coveted southern peninsula of Bali. 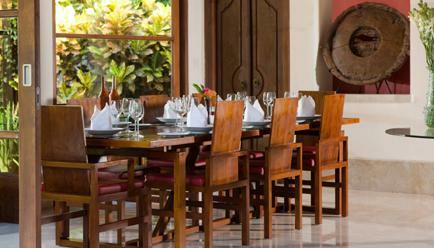 Located at a stone’s throw from the picturesque Jimbaran Bay, it gives you access to the beach and its renowned seafood restaurants. 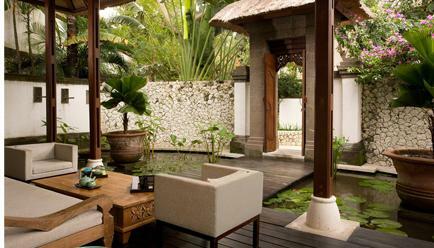 So, soak into the gentle surf and let Karma Jimbaran indulge your senses. 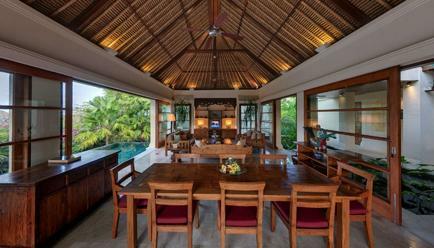 Crafted with traditional Balinese aesthetics, the opulent villas at Jimbaran come with private pools, expansive living areas, en-suite bathrooms, lush gardens, well-equipped gourmet kitchens, a DVD home theatre system among other contemporary amenities. Maximum Guest Capacity: The maximum room capacity is two adults and one child (aged below 12 years) or three adults. 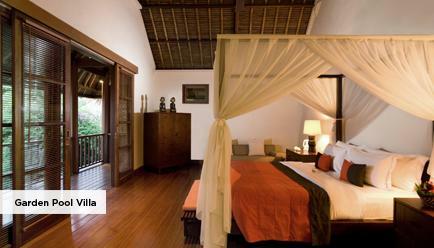 Extra Guest Policy: Where applicable, an extra adult can stay at a surcharge of USD 100, with an extra bed and the inclusions available in the package, payable directly at the resort. Child Policy: A child (aged between 0-5 years) may stay free of charge. Where applicable, a child aged between 6-12 years may stay at a surcharge of USD 50, which includes an extra bed and the inclusions available in the package, payable directly to the resort. Valid only for Indian nationals. 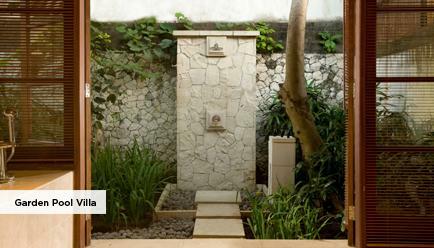 Private Concierge – Available for turning all your desires into realities, the private concierge team at Karma Jimbaran will assist you in getting personalized experiences not only throughout the resort but throughout Bali. Three Monkeys Kids Club – With several fun-filled activities for 4-12-year-olds, the Three Monkeys Kids Club will become your child’s go-to place at Jimbaran. So, no more bored children and worried adults! 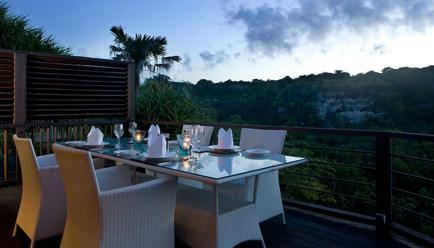 The Bay- The in-house restaurant ‘The Bay’ has a laid-back feel to it and serves Asian and western cuisines with locally-sourced ingredients like quality meats and locally caught seafood. 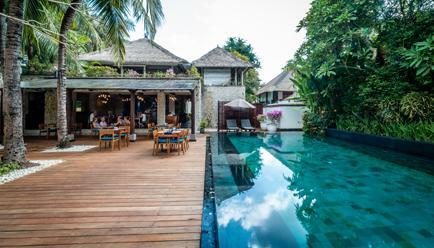 Located by the plush pool-side, the restaurant’s gourmet recipes and melodious live music make it a sought-after destination restaurant in Bali. 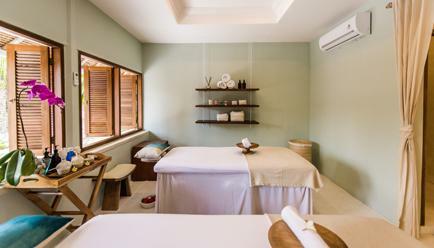 Karma Spa – Chakra blessing, hot rock massages, manicures, the Karma spa and its team of healing experts have a range of therapeutic spa treatments to offer. So, lay back and let your soul unwind. Gym – Whether you like training with a personal trainer, attending Yoga classes or going solo, the well-equipped and spacious gym at Jimbaran has something to offer for fitness enthusiasts of all kinds. 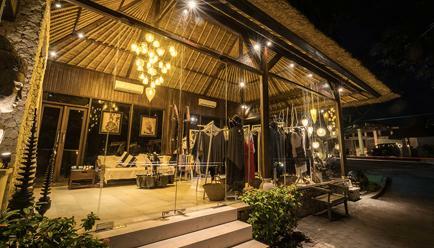 K Boutique – Indulge in some retail therapy with the Boutique at Karma Jimbaran. With a gallery-like feel, the boutique features local designer jewellery and clothing, artworks and curated artefacts. 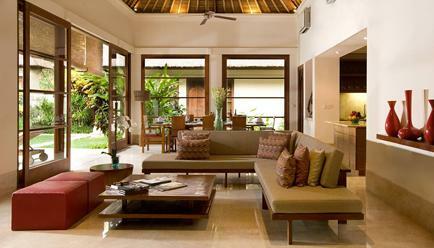 Karma Jimbaran is located at a 20-minute drive away from the Ngurah Rai International Airport, for which connecting flights are available from all major metro cities in India. For any questions or queries regarding the deal, please contact us on travelconcierge@fabgetaways.com or check our FAQs.